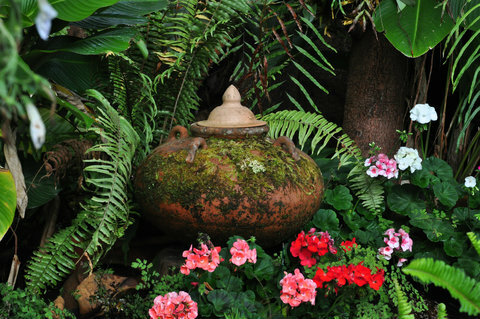 Whether you begin with the container itself or begin by purchasing the plants you want to add to a container, the two must complement one another to truly sparkle. 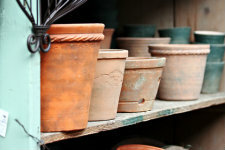 Spend some time planning how your plantings will integrate with the containers you choose, and the style quotient of your garden will rise through the roof. You will be thinking like a designer. Valuable design secrets just below! 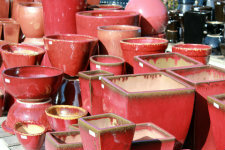 Find out how to take a great container choice, a strong selection of garden plants, and great soil, add a little of the right maintenance care, and ensure that your containers will be everything you expect from them. Click photos for more info! 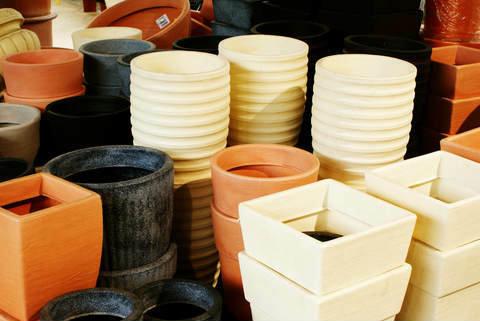 When considering container choices, traditional containers such as those pictured below are what people typically envision, and for MOST applications, choosing from among these traditional garden containers is likely to be the best choice. However, don't limit your thinking here! 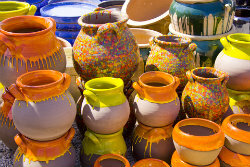 Everything from old shoes, to sinks to antique furniture that has seen better days can be turned into a lovely container. 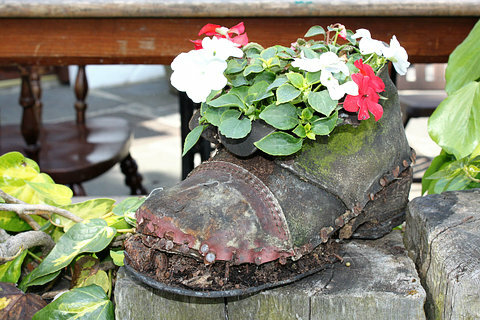 If you love the idea, you can plant up these found objects in high style, just as you would a more traditional container. These 'found objects' automatically perform the role of garden art, and in many cases become a garden focal point. 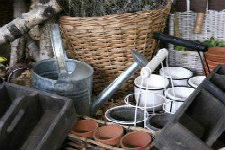 Some very exciting additions to your garden can be created using these special objects. 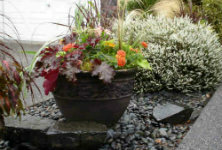 Garden containers add a dimension to your garden design that cannot be replaced through any other medium. 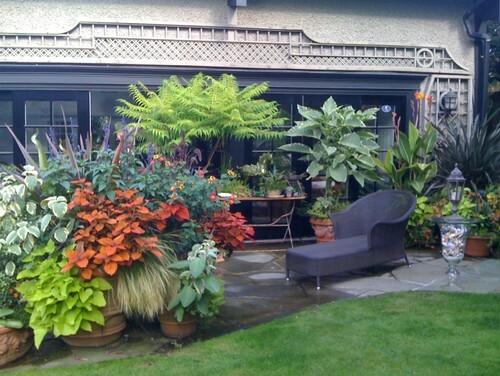 Including containers in your garden opens the door to diversity, ease of maintenance and opportunities for unique and exciting garden design. I love adding containers to my garden, since I can bring garden plants into my garden that I might never otherwise be able to grow. Check them out if you haven't, and have fun experimenting with them!